Thanks Salawat! I didn't have this one! Best Ambient / Instrumental Album in the June 2016 Akademia Music Awards. “Salammbô” is doubtless Sylvain Carel's most accomplished work to date. Placarded in 9 tracks which border the 9 minutes each, the music inhales the inspiration of his author who takes good care to use every second of it in order to enrich sound sculptures which join sometimes the diapason of our emotions and sometimes the wonderment in front of so much accuracy to define a place or a vision. Every track possesses this little something which attracts us in a music that we learnt to discover and to like since the nights of Caravansary. Yes! Sylvain Carel deserves his place among the most beautiful music storytellers. 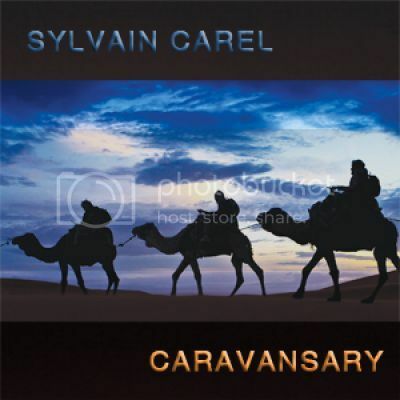 Another stunning musical odyssey from french maestro Sylvain Carel. The music is a wonderful fusion of styles, from Vangelis and Tangerine Dream inspired to ethnic influenced electronica, but with its own unique identity. It’s astonishing that this talented composer isn’t more widely known – Sylvain Carel is producing stunning music that crosses contemporary genres and it would surely have wide appeal if more people were to hear it. The ten tracks on Semiramis are varied, expertly crafted and beautifully played. They link together to present a satisfying journey, incorporating strong rhythms and sequences with some terrific themes. Vocal textures give an occasional evocative eastern flavour but these cultural overtones never venture into world music territory. Indeed, the music remains firmly in the realms of rock based sequenced electronica. Semiramis is a classy album of real depth and emotion with top notch production values and is highly recommended to fans of melodic EM.